Just a few minutes ago as of this writing, Sony announced at CES the thing we all knew they had in works since buying up Gaikai: PlayStation Now. And it seems like they want to stream games to more things than just your console. Though we don’t have many details about the PlayStation Now service, Sony looks like it is moving forward with the streaming idea for not only your PS4, PS3, or Vita, but televisions, tablets, and phones as well. No mention of PCs, but lets hope they make the cut. They specifically mentioned The Last of Us being able to be streamed among these devices. Neat. 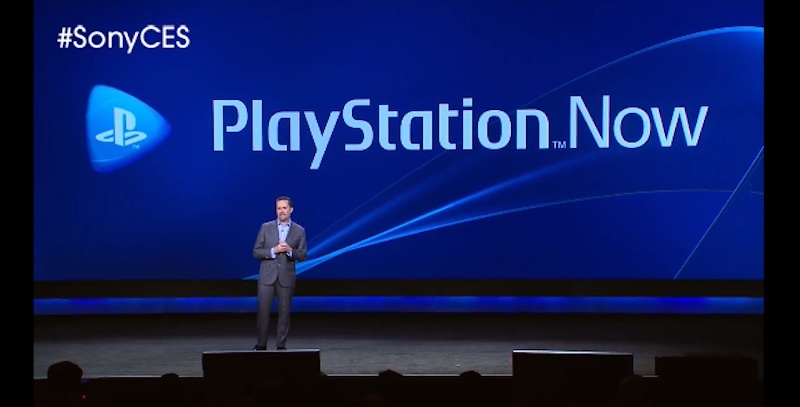 The service will be subscription based, and you will not have to own a PlayStation console to participate. A closed beta in the US is coming soon, and it should launch later this year. Look at that, more details! 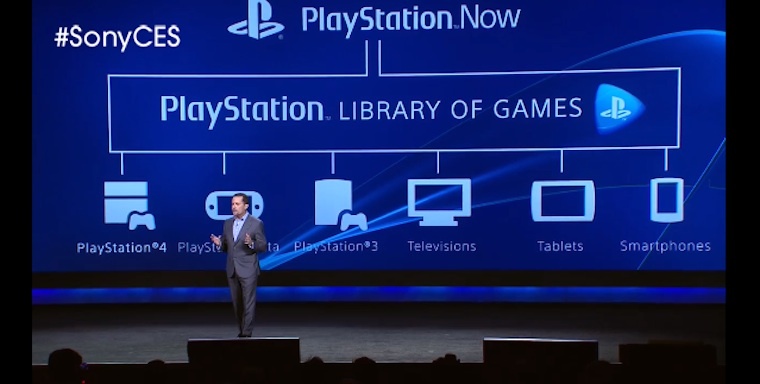 In addition to PlayStation platforms, most 2014 US models of Sony’s BRAVIA TV lineup will support PS Now. Eventually the service will expand beyond PlayStation platforms and Sony devices, allowing you to stream PlayStation games across a broad range of Internet-connected devices. Play video games instantly across multiple devices, similar to the way you might stream TV, movies, and music. Stream full games to all of your compatible PlayStation devices including PS4, PS3, and PlayStation Vita as well as non-PlayStation devices, beginning with 2014 BRAVIA TV models and expanding to numerous other Internet-connected devices. Always play the most updated version of your game. With games hosted in the cloud, you can take your game with you – just log in with your Sony Entertainment Network account on a compatible device and your games and saved progress will be easily available. Game titles will be able to be rented if the subscription thing isn’t your bag, and a beta is coming in the US by the end of January. Sharing the spotlight with PlayStation Now was the announcement that a “cloud based TV service” is also in the works that will allow you to watch “popular live TV programs” in addition to video-on-demand content through your PS4 and mobile devices. Less about this was said than the PS Now business, but if Sony can play their cards right with the live TV portion, this could be very interesting indeed.